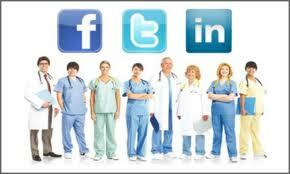 Physicians should not "friend" or contact patients through personal social media. Physicians should keep their professional and personal personas separate. Social media can be a great outlet for physicians to help educate the population, showcase innovative procedures and demonstrate their abilities with case study profiles. Physicians are encouraged to establish their own professional profile which will assist in controlling the amount of accurate information patients discover when using online searches. It is important that physicians take ownership of their search ranking because many patients rely on physician ranking sites or review sites to provide them with information. There are many examples of physicians who are both visible and active on social media channels, and when executed properly, there are many patient and marketing benefits. The inclusion of social media into an online medical marketing strategy is a logical step given the number of benefits; just remember to use common sense and "proceed with extreme caution."